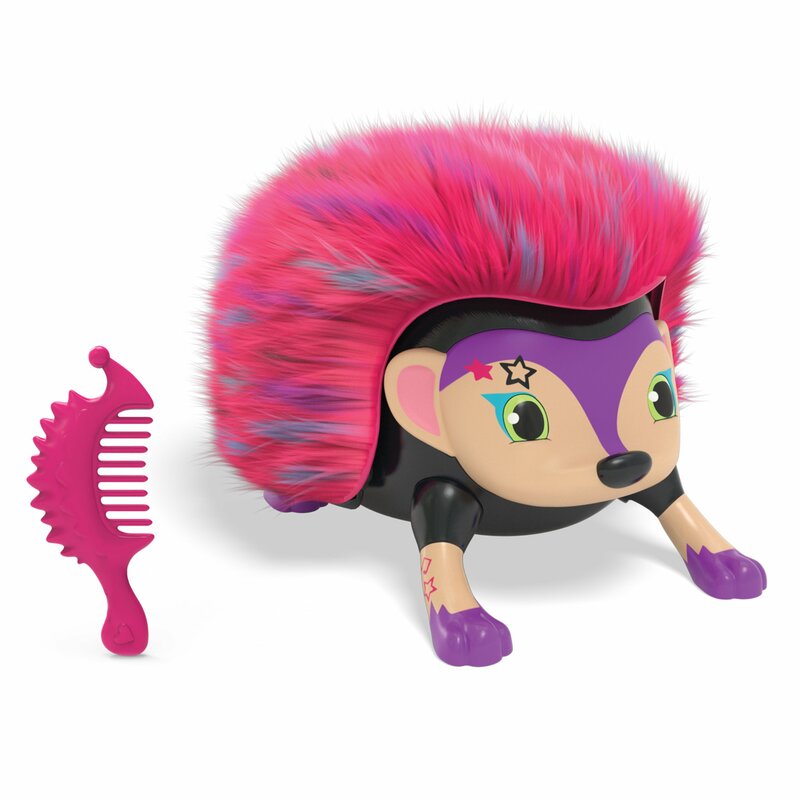 Home › Toys › Zoomer Hedgieztumbles Interactive Hedgehog With Lights Sounds And Sensors By ..
Zoomer Hedgieztumbles Interactive Hedgehog With Lights Sounds And Sensors By ..
Zoomer Hedgiez really move on their own, making cute sounds while they perform tricks. When you pet their heads they'll walk, roll, do headstands, and more! Hedgiez love to cuddle - tickles their bellies and they'll curl up and giggle! Zoomer Hedgiez are the cute and cuddly pets that will roll into your heart!These Hedgiez have a life of their own. Pet their heads and they really roll-- up to three times! Nose down, paws up, Hedgiez love to perform headstands.Press their noses to make them wiggle, whistle, blow you a kiss, and othercute sounds! These furry friends love to be tickled. Flip them over, tickletheir tummies and they'll curl up and giggle! Each Hedgy has their own style,complete with soft, pet-able fur. They come with their own combs for brushing,and have pretty light-up eyes. Adopt your very own Zoomer Hedgy!